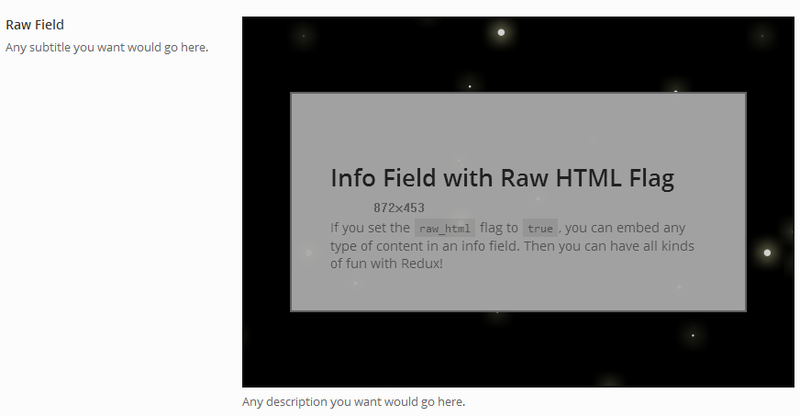 The Raw field provides the ability to output raw HTML directly into the options panel both full width and sectioned. type string ‘raw’ Value identifying the field type. 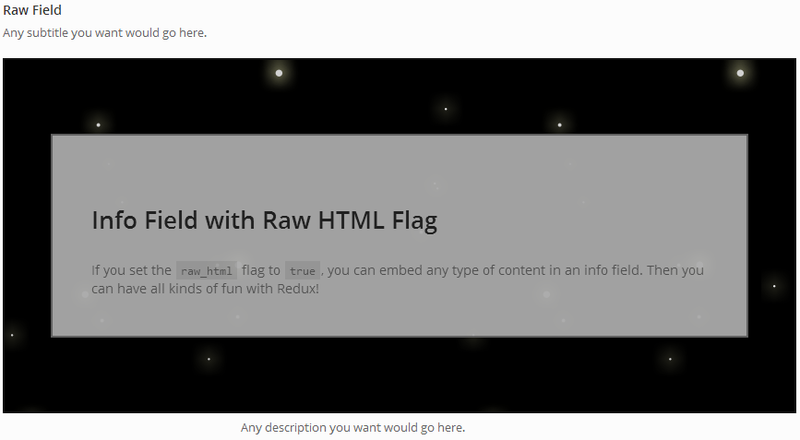 full_width true Flag to set denote if the field is full width or sectioned. markdown bool Flag to set the markdown of standard line-break and tab characters to HTML. content string HTML content to display. String values or file output may be used. content_path string Full path to file that will be used as the content for this field.